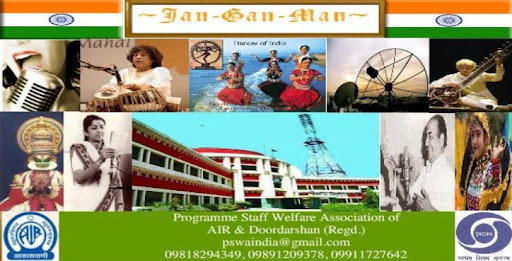 Jan-Gan-Man: Registrar of Societies Delhi Informed under RTI "PSA of AIR & DD Was/ Is Never Registered . Registrar of Societies Delhi Informed under RTI "PSA of AIR & DD Was/ Is Never Registered . 45 years ,.s/o late N.Narahari Singh, resident of Thoubal Achouba , PO & PS, Dist. (Relief Cell), Govt. of Manipur, Imphal. 3. The Deputy Commissioner, Thoubal, Govt. of Manipur,Imphal. For the Petitioner :: Mr. B.P.Sahu, ld. Advocate. For the Respondents :: Mr. R. S. Reisang, Addl. GA. Date of Hearing & Order :: 28.02.2005. Heard Mr. B.P Sahu, learned counsel for the petitioner as well as Mr R. S. Reisang, learned Addl. G.A for the respondents. “9. In the case of a body incorporated by law, the corporate body acquires a legal personality of itself and is as such entitled to maintain legal proceedings. But an unincorporated association has no legal personality and it is nothing but an aggregation of its members who can only bring legal proceedings in their individual capacity. Even when all of them by an official act, they can challenge that only if all the members join in the proceedings by name, the association, in such a case, cannot maintain an application under Article 226 or other legal proceeding in its own name, as has been established by a number of decisions. 15. Mr. A. Nilamani, learned senior counsel for the Association, however, contends that in the facts and circumstances of the case the instant petition should not be thrown out at this stage on the ground that it was filed by an unregistered Association. In this regard, Mr. Nilamani refers to the decision in Akhil Bharatiya Soshit Karmachari Sangh ( Railway) vs. Union of India and others reported in (1981) 1 SCC 246 (281). This decision is clearly distinguishable . There the point raised was whether an unrecognized Association can bring a legal proceeding , and not whether an unregistered Association can do so, and in that case, learned Attorney General took no objection to a non-recognized Association maintaining the writ petitions. Moreover the said decision speaks of “little Indians”. “7. The question of “standing” was the subject of a passing observation by Krishna Iyre, J in Akhil Bharatiya Soshit Karmachari Sangh’s case, AIR 1981 SC 298 ( to which the other two learned Judges constituting the Bench did not avert to ). According to these observations the concept of ‘cause of action’ and ‘person aggrieved’ has become obsolescent in some jurisdictions, like ‘public interest litigation’ by little Indians in large numbers seeking remedies in courts. In such a case alone an association of little Indians may be permitted to sue on their behalf. These observations graft an exception to the traditional rule of locus standi. They will not cover the case of an association suing on behalf of its members where its own interests are not affected and where its members do not answer the description of little Indians. (2) In case of a public injury leading to public interest litigation, provided the association has some concern deeper than that of a wayfarer or a busybody, i.e., it has a special interest in the subject matter. “6. Accordingly the papers will be placed before My Lord, the Chief Justice, for appropriate orders. After going through the papers and on hearing the counsel, we are of the view that in view of R.2- B of the Rules framed by virtue of Art.225 of the Constitution, to regulate proceedings under Art.226 of the Constitution, this question pales into insignificance , as any body of persons who wish to jointly agitate a matter or espouse a common cause can invoke the benefit of the said rule. Accordingly, we hold that an unregistered Association cannot maintain the writ petition”. 5 order of the ld. Single Judge in All Manipur DIC Supervisors’ Association. Vs. State of Manipur & Ors (supra) that the writ petition filed by an unregistered Association is not maintainable. 4. For the reasons discussed above, the present writ petition is not maintainable and accordingly, the present writ petition is dismissed as not maintainable.